Banks’ homage has gone even further with the singer full-on channeling Wintour on her Instgram, sporting the editor’s signature bob haircut and black shades combo. Banks also changed her Instagram profile picture to a shot of Wintour. No comment from Wintour’s camp as of yet. They have enough on their plate. We all know the best part of athleisure is the leisure bit. On this weekend’s edition of “Saturday Night Life,” the cast got real about what leggings, with all their built-in performance technology, are really used for: couch-bound, hungover Netflix-binging. On Friday, Levi Strauss & Co. filed a lawsuit against Kenzo with the U.S. District Court in San Francisco, where Levi’s based. According to the complaint, Levi Strauss alleges Kenzo infringed on their trademark by copying the brand’s distinctive signature “tabs” on their pants pockets. The lawsuit cites the Britney Spears denim line that Kenzo launched last month as an example. The “tabs” referred to in the complaint are the cloth ribbons sewn into the back-pockets of Levi’s jeans that bears the brand’s name. Levi claims Kenzo’s activities are causing their sales to slump, suffering “incalculable and irreparable damage” to its goodwill, and confusing customers. Levi is seeking to recoup lost profits, compensatory and punitive damages, and stop further infringements. Marc Jacobs may have surprised Charly Defrancesco when he got down on one knee in the middle of a Chipotle last week, but Defrancesco had been orchestrating a surprise of his own. On Saturday, he threw Jacobs an intimate surprise birthday bash at the subMercer, the cavernous basement bar of SoHo’s Mercer hotel. The designers besties Naomi Campbell, Sofia Coppola, and Lil Kim were all there having a ball, watching Debbie Harry sing while perched on an oversized birthday cake. 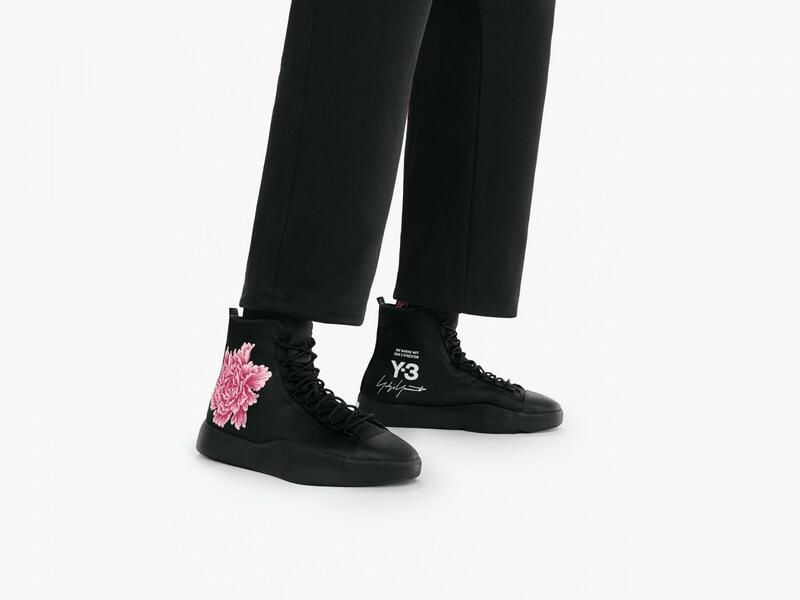 NBA baller James Harden provided the inspiration for Yohji Yamamoto’s latest capsule for Y-3, the designer’s longtime partnership with adidas. The collection fuses performance wear with sharp tailoring providing “a full wardrobe for off-court style,” according to the release. The drop also includes the Y-3 BYW BBALL sneaker, based on adidas’ iconic Nineties silhouette, in white, and the Tangutsu, a laceless slip-on. The assortment is available starting April 13 at Y-3 stores and online as well as at select retailers. 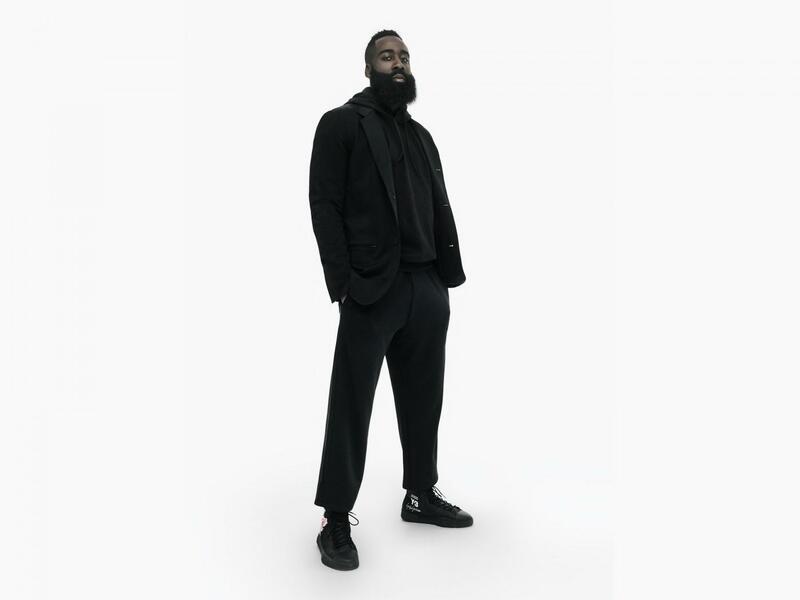 James Harden in the Y-3 capsule. On Sunday night, a slew of designers came out for the Cinema-Society screening of “Wildling” starring Liv Tyler and Bel Powley. Calvin Klein, Nicole Miller, Donna Karan, Simon Spurr, Timo Weiland, and Nanette Lepore were amongst the moviegoers. After the film rolled, guests headed to The Beekman Hotel for a celebratory cocktail.